AstroSage Magazine: Kaal Sarpa Dosha: Get Rid of it in Simple Steps! Welcome to AstroSage's weekly newsletter. Today, we have decided to brought you forth a very important topic - Kaal Sarp Dosh. Kaal Sarpa Dosha is one term which is threatening people since years. In Sanskrit, Kaal means 'death' and Sarpa means 'serpent'. Rahu is the head and Ketu is the tail of the serpent. When all the planets of the native are present in between Rahu and Ketu in the birth chart, this conjunction is known as Kaal Sarpa Dosha. Rahu and Ketu are considered as malefic planets. Even their names are enough to scare people. However, these two planets also have a positive side and very few people know that. 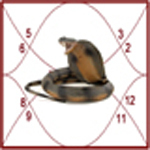 Usually, Kaal Sarpa Dosha is considered to be giving unfavorable results to the people. But, this Dosha is not as dreadful as people think. Rahu, Ketu or Kaal Sarpa Dosha – they may give you some unfavorable conditions, but it doesn't mean that you can't avoid them. So, even if you have Kaal Sarpa Dosha in your Kundali, take it easy. Now, you must be wondering if you have Kaal Sarpa Dosha in your chart or not. If some Dosha exists then it definitely affects in some way or other. Over that, Kaal Sarpa Dosha is known as the most fearsome conjunction amongst all Doshas in astrology. However, it is not as bad as the rumors say. 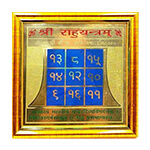 But still, it will be good if you will know the conjunction of Kaal Sarpa Dosha in your birth chart. In order to ease you, we have designed a freeware for you to check the Kaal Sarpa Dosha in your Kundali. Check Kaal Sarpa Dosha in Your Kundli For FREE! Kaal Sarpa Dosha Service gives you a detailed personalized analysis from our astrologer. In this service, you get the option of asking your questions personally. With a personal touch, we offer you this service with an assurance of 100% accurate analysis and easy to perform remedies. Kaal Sarpa Dosha is not a very significant thing to be considered in life. So, we would like to tell you about some other cool stuff. Planet Of Love In Conjunction With Lions! Time To Pay Tribute To Our Masters! Panchak - Auspicious or Inauspicious? Click here to demystify Panchak! So, that's all for this week. We will keep on updating you with such amazing stuff. For more information, stay tuned to AstroSage.com.